I became partially sighted almost overnight and struggled emotionally. 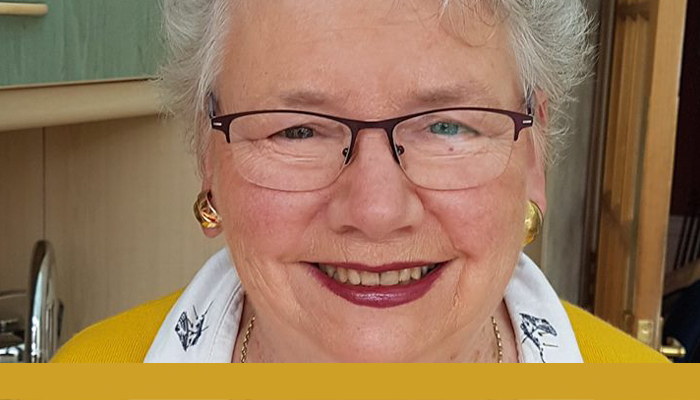 RNIB supported me to become a Connector and I met others with sight loss. I set up a community group, led on fundraising for Corstorphine’s Community Talking Book, and invited others to join me for ‘Coffee, Cake and Chat’ through local Churches, Libraries and RNIB. A total of 36 people came to that first meeting of Corstorphine Connect Sight Loss Group, and we’ve never looked back. We now meet every month on a Saturday, supporting each other by sharing suggestions and making new friends, including the carers. There’s been a Christmas party, a Burns Supper, quizzes and much more. We even had an outing to see ‘The Kelpies’, which was sponsored by our local Specsavers. Coming up to our anniversary, I can reflect on an amazing year, where helping others to connect through the group has helped me regain my confidence and my mojo! Join our celebrations on social media by using the hashtag #RNIB150.